Today we’re happy to announce that we have added ICMP Ping and Traceroute to our Free Tools at mxtoolbox.com. Typically you would use a Windows Command Processor or Terminal shell to utilize Ping and Traceroute to help troubleshoot issues however it is often very useful to run these tools from a location other than where you are currently sitting, so we’ve added it to the arsenal of commands available on our site. Ping is a commonly used tool to test the reachability of a host (IP) and also measures the round trip time on the response. NOTE: Don’t confuse the new ICMP ping tool with our ping@mxtoolbox.com email trace tool. 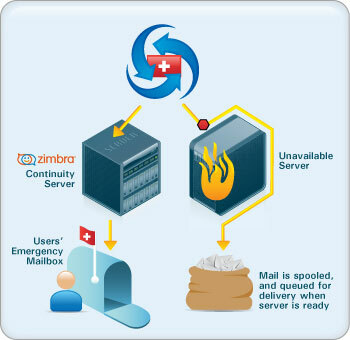 Ping@mxtoolbox.com was created in the spirit of ICMP ping as a quick tool to test Inbound and Outbound mail flow on a server. For more details on ping@mxtoolbox.com, go here. Traceroute tracks the path that a packet takes from the source to a destination address. A traceroute also shows how many times your packets are being rebroadcast by other servers until it gets to the final destination. Along with our Free DNS Tools, we also offer Free Server Monitoring. Our MxWatch Monitoring will allow you to setup Monitors for Blacklists, SMTP and more. You will then be alerted via email or SMS text if there is an issue with a Monitor, which can help you address problems before they escalate. The Free version of our MxWatch includes two Monitors, which can be used to check the Blacklist every seven days or any other additional alerts of your choice; SMTP, TCP, HTTP, etc. We also offer Paid Services for those individuals that want to monitor more than two sites or servers. Why choose the paid services? The MxWatch Basic package provides up to 10 Monitors as well as access to the Tier II expertise of our rock-star Support Team! tcp: Verify an IP Address allows tcp connections (tcp:ip:port) New! http: Verify an IP Address allows http connections (http:”url”:”regex”) New! https: Verify an IP Address allows secure connections (https:”url”:”regex”) New! ping: Perform a standard ICMP ping New! trace: Perform a standard ICMP trace route New! As always we thank everyone for their feedback on our tools, to reach out to us please email us at feedback@mxtoolbox.com. This entry was posted in Knowledgebase, MX News, MxWatch on April 10, 2012 by MxToolbox Blog. We have noticed an uptick of inquires on our site about the Trojan Horse Zues Win32/Zbot. This bot was originally discovered in January 2010 but appears to be rearing its ugly head again with a vengeance. Zeus is a banking malware trojan, and specializes in stealing personal information (passwords, account information, etc) from interactions with banking sites through the use of “formgrabs”. This generally means that this trojan is distributed through spam campaigns and drive-by downloads form the web. Now that a computer(s) has been infected on your network the trojan really gets to work. The bot will then attempt to send out infected emails without being detected. This will more than likely cause your mail server IP to become listed on the CBL Blacklist. Now you may be asking yourself: How did I get infected when I have Anti-Virus on all machines and am blocking Port 25 traffic on my email server? You have done the majority of the work to protect yourself by locking the front door (Anti-Virus) and the back door (block Port 25), but you may have unknowingly left the window open (Web Filtering). With up to 85% of malware now distributed via the Web, proactive Web security is a necessity. MxToolbox has partnered with Webroot (May 2010 Newsletter) to offer Web Filtering to protect your network from attacks through the web browser. Our Total Security Solution includes Business Email Perimeter Security in combination with Web Security to provide additional layers of protection to combat Email and Internet threats. Webroot eliminates spyware and viruses with best-of-breed scanning engines and offers a 100% guarantee. In addition to protecting against malware you have the ability to enforce web access policies across your entire organization or specific to groups of employees and generate detailed reports of Internet browsing over time. This entry was posted in Knowledgebase, MxWatch on September 27, 2011 by MxToolbox Blog.